Tiremaker Pirelli is pumping up their profits using factory robots to make custom tires. The system is called modular integrated robotized system, or MIRS. 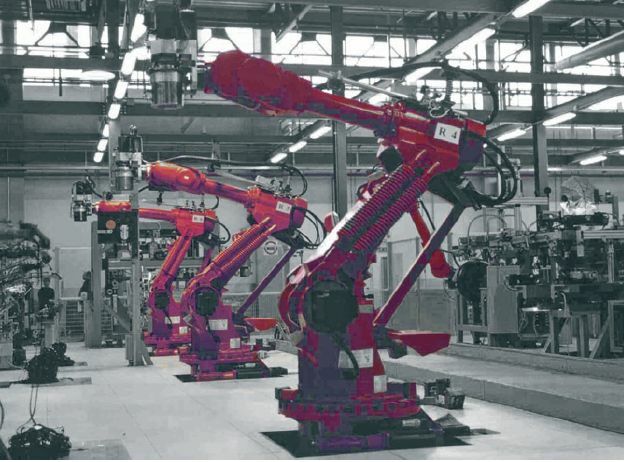 "Robots manage the entire production cycle in an uninterrupted sequence from the compounds to the finished tyres , with no semifinished products to be moved around and no intermediate storage phases." No tooling changes are needed between product changes.